Wagashi (和菓子), literally translated as “Japanese confectionary,” are just what the name would suggest: traditional Japanese treats usually eaten on certain holidays or during tea ceremonies. Wagashi aren’t just any old snack, however; they have been elevated to an art form and are as beautiful to look at as they are delicious. A phrase commonly used when talking about wagashi is “the art of the five senses” as wagashi are made to appeal to all five senses: sight, touch, smell and taste. You’re even able to hear the sounds in the seasonal memories invoked by the wagashi. 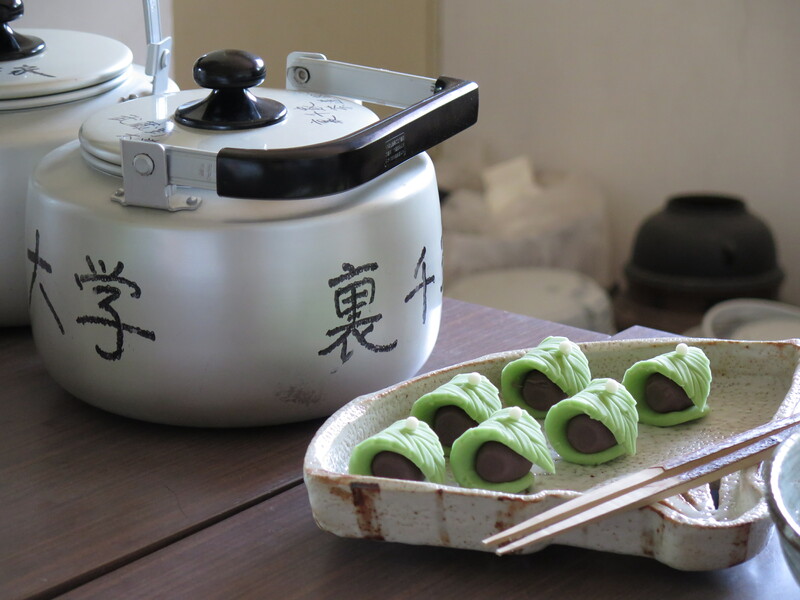 As stated before, wagashi are eaten on certain holidays (both ones derived from Chinese holidays and ones based on the Japanese agricultural calendar) and during tea ceremonies. The type of event or day they’re eaten on, as well as the season in which they’re being eaten, affect which types of wagashi are served. The art form of wagashi is really demonstrated when it comes to seasons: during autumn you can find wagashi in beautiful oranges and reds, many shaped like Japanese maple leaves; winter brings a flurry of white wagashi which brings to mind clean snow; with spring comes floral wagashi, delicious little sweets shaped like anything from tulips to cherry blossoms; and summer has many jellies and youkan in hopes of cooling off during the hot days. 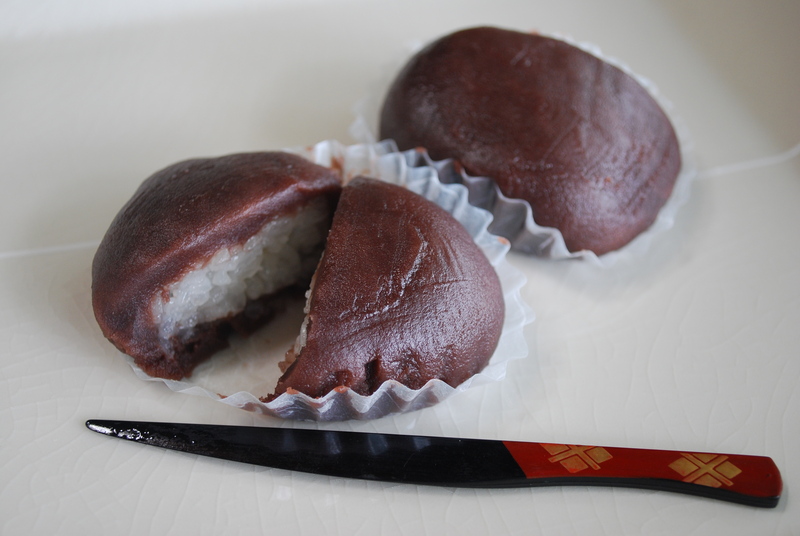 Wagashi actually dates far back to the Yayoi Era of Japan (from B.C 300-C.E. 300); during this time wagashi were merely berries and nuts. When Buddhist monks brought processing skills from China in the Nara Era of Japan (C.E. 710-748) people began to make mochi and dango and these rice treats made their way into the group of foods known as wagashi; they were considered to be exclusive, however, and were used mainly for religious purposes. It was also around this time when the wagashi began to change from plain snacks to edible pieces of art. During the Muromachi Era (1336-1537) Japan was opened to foreign trade, an event that brought many flavors and ingredients to Japan; the primary change was the introduction of sugars that could add sweetness to snacks without having to rely on the natural sweetness of the ingredients. By the Edo period (1868-1912) the wagashi trade was spreading regions and experiencing competition and development that it hadn’t seen before. 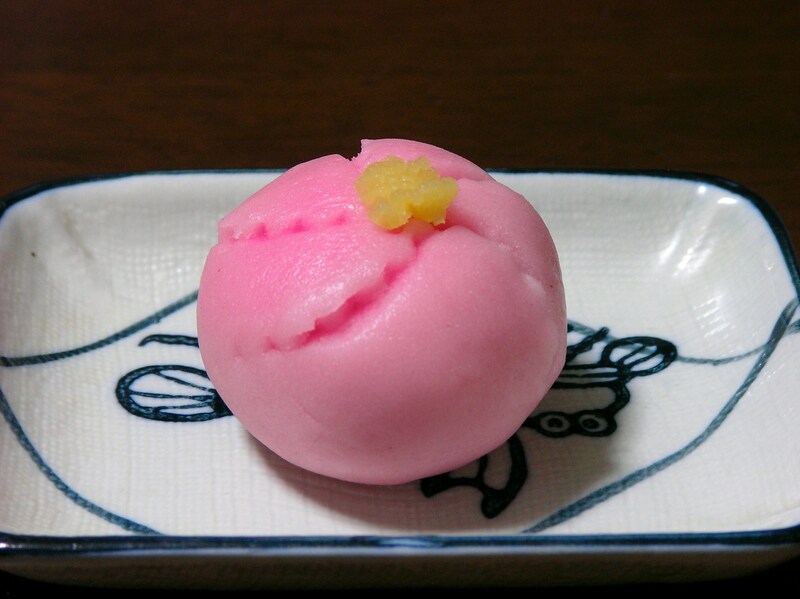 It wasn’t until the Taisho era (1912-1926), though, that the word wagashi was actually coined. 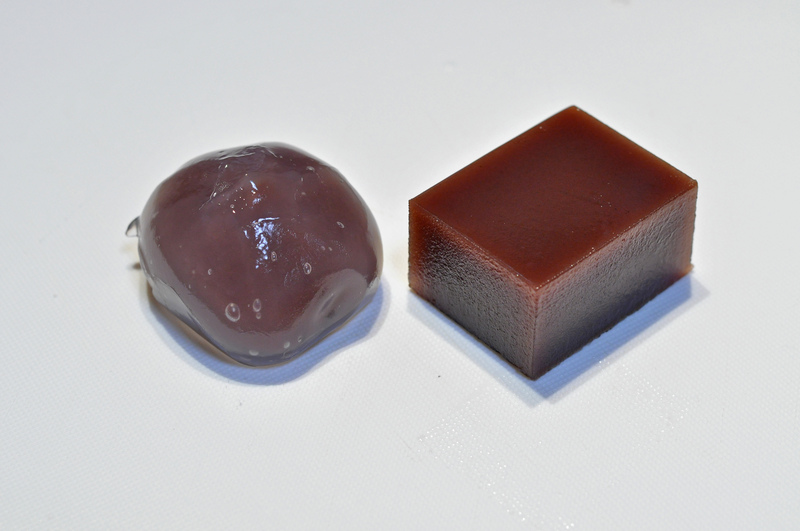 There are three different main types of wagashi: namagashi (生菓子), or fresh confectionary; han-namagashi (半生菓子), semi-fresh confectionary; and higashi (干菓子), or dry confectionary. Namagashi is, as the name would suggest, the freshest of the three and has to contain at least 30% moisture to be considered such. It’s a very popular type and contains a large variety of different types of snacks including, but definitely not limited to: gyuuhi (求肥), bota mochi (牡丹餅), daifuku mochi (大福餅), sakura mochi (桜餅), and kimi shigure (黄身時雨). Gyuuhi is a softer variety of mochi, which is pounded sweet rice, and is more delicate as a result. It’s not served as commonly as mochi, but their beautiful color gradients make them a great addition to any tea ceremony. 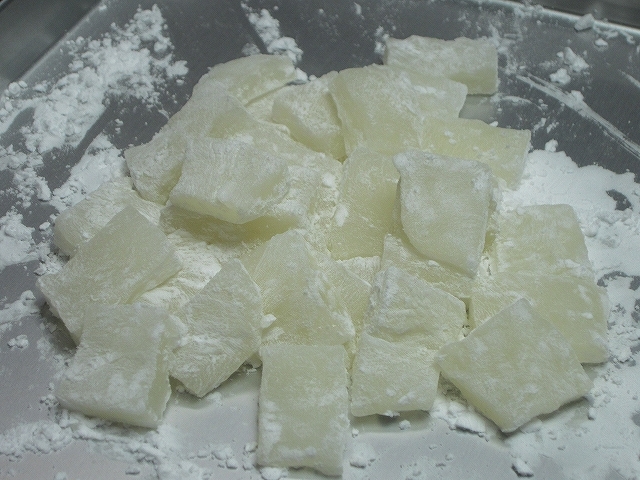 Nerikiri is a version of gyuuhi; it is made of the same delicate mochi as gyuuhi, but before it’s finished, the pounded rice is mixed with shiro-an (白あん), a sweet white bean paste. This gives this treat an extra bit of creaminess to the soft texture. Made from soft sweet rice and anko (あんこ), or sweet red bean paste, mixed and shaped into a ball, bota mochi is less delicate looking than other wagashi, but is just as delicious. 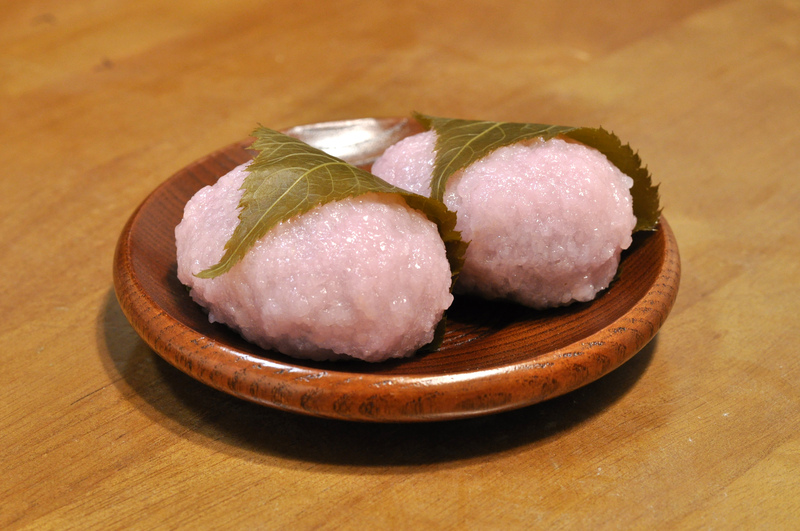 Sakura mochi is a pretty pink wagashi that almost resembles an onigiri rice ball, a triangle shape of sakura mochi taking taking the place of the salty snack filled rice ball and the sakura leaf standing in for seaweed. Don’t be fooled by it’s simplicity, however, because sakura mochi has a delicious mix of flavors; inside the pink sweet rice is anko, and the whole sweet is wrapped with a floral sakura leaf. 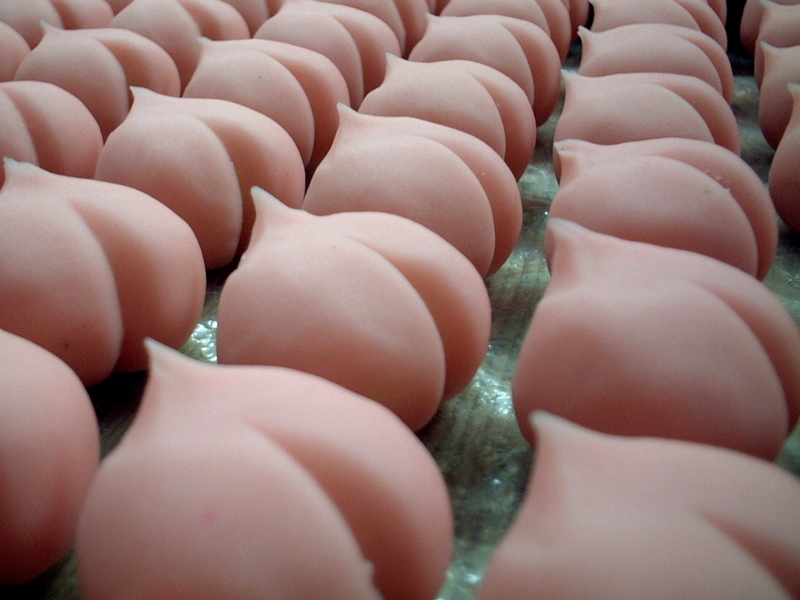 Sakura mochi is also made with domyojiko, rather than the mochiko used by most wagashi. Domyojiko is a rice flour which is not as finely ground as mochiko, which leaves grains in the flour and gives a great ricey texture to the sakura mochi. After namagashi comes han-namagashi, or semi-fresh wagashi. Compared to namagashi, han-namagashi is dried more, like dried fruit versus fresh fruit, containing anywhere from 10% to 29% moisture. 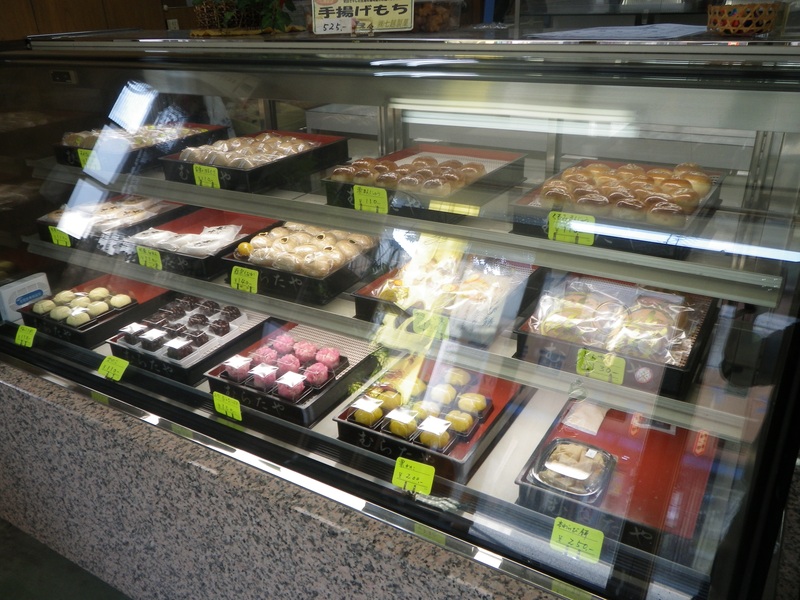 Just like with namagashi, han-namagashi has many different varieties. 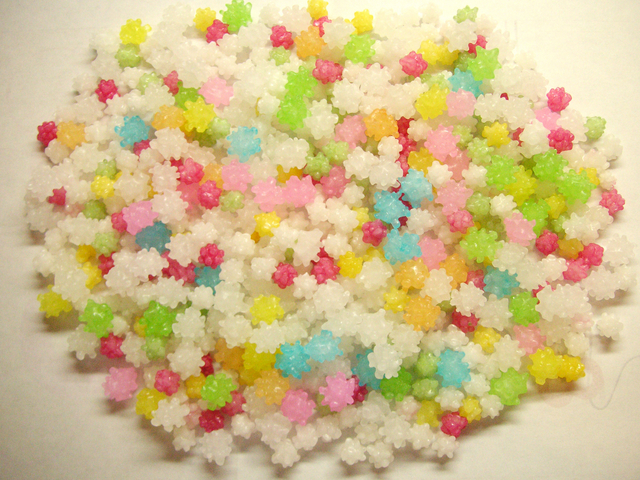 Popular ones include youkan (羊羹), kingyoku (きんぎょく), and monaka (最中). 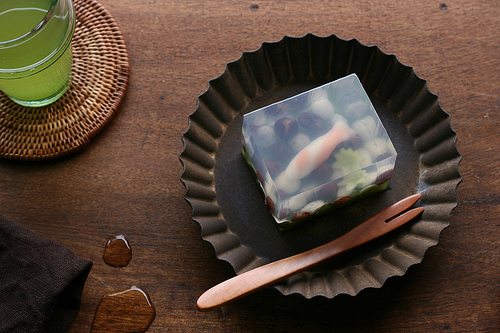 Youkan is a jellied wagashi made from azuki, sugar, and agar (a jelly-like substance found in algae which is used to thicken many different sweets.) 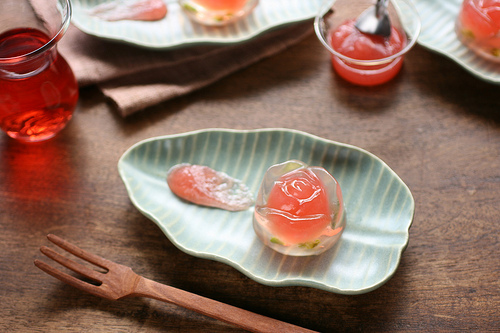 There are two different types of youkan: neri youkan (練羊羹) and mizu youkan (水羊羹); the main difference being mizu youkan is made with more water than neri youkan, making it closer in texture to jello. Sometimes youkan also contains fillings or flavoring such as chestnuts or matcha green tea powder. 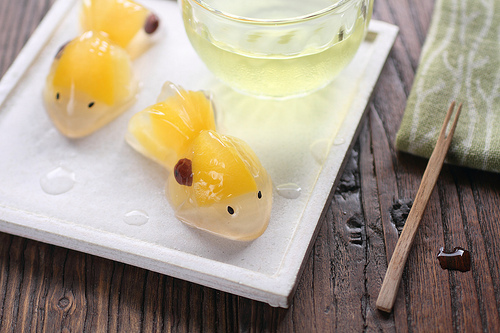 Kingyoku is a very visually pleasing dish as the agar, which is the main part of the sweet, is clear, there are often different decorations placed right in the middle. Kingyoku often look like a three-dimensional painting containing swimming goldfish, falling cherry blossoms, and many other beautiful decorations. 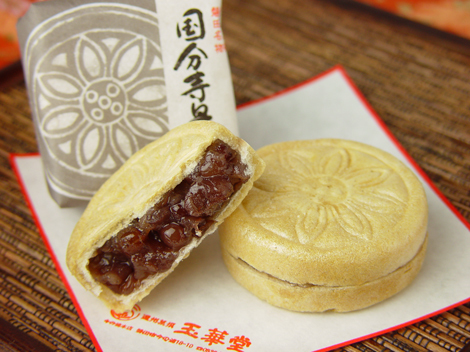 Similar to most of the other wagashi, monaka contains azuki, the sweetened red bean paste common in many different Japanese sweets. In addition to the azuki, monaka also has two thin, crisp wafers which hold the azuki like a sandwich. There’s also a very popular modern version of monaka which is filled with ice cream and sometimes with a thin layer of chocolate. 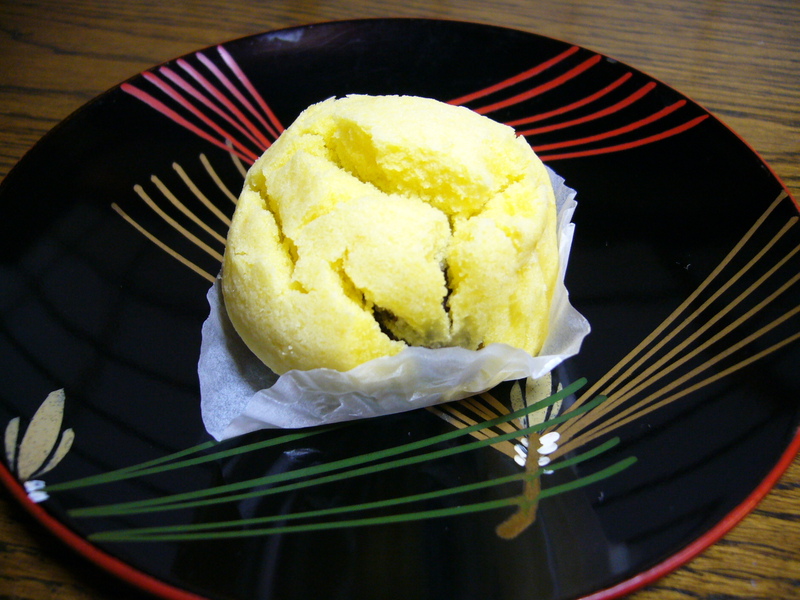 Higashi is the final type of wagashi. Like han-namagashi before it, higashi contains even less liquid than its predecessors; if han-namagashi is similar to dried fruit, then higashi would be kind of like fruit chips. To be considered higashi, it needs to contain 9% moisture or less. Popular types of higashi include uchimono (打ち物) and kakemono (掛け物). Uchimono is similar to gyuuhi (mentioned earlier in the namagashi section) in looks, since the ingredients are layered which creates a gradient effect; food coloring can also be added to give this wagashi an even more visually appealing edge. Made from kanbaiko (寒梅粉), or cooked sweet rice flour, sugar, and sugar water, this is a simple but deliciously sweet wagashi. Kakemono are a hard candy like konpeitou (金平糖), a wagashi that’s about the size of a fingertip; they have a pointy shape almost like a star or, for the readers who remember, similar to the mines in the old minesweeper computer game. These spiky shapes are made purely from sugar and surround a roasted rice kernel center. There are many shapes and flavors in addition to the popular konpeitou, as well. If you’re feeling adventurous and want to make your own wagashi, you can find a number of different recipes for all of the varieties mentioned here, as well as every other wagashi under the sun, online and in many different Japanese cookbooks. The majority of the ingredients you’ll need, such as sugar, anko, sweet rice, and sweet rice flour can be found at Asahi. If you’re not up for making your wagashi from scratch, you can also stop by Asahi to buy delicious pre-made wagashi including, but not limited to, sakura mochi, youkan, and monaka. Not your first time hearing about Japanese wagashi? What’s your favorite type? 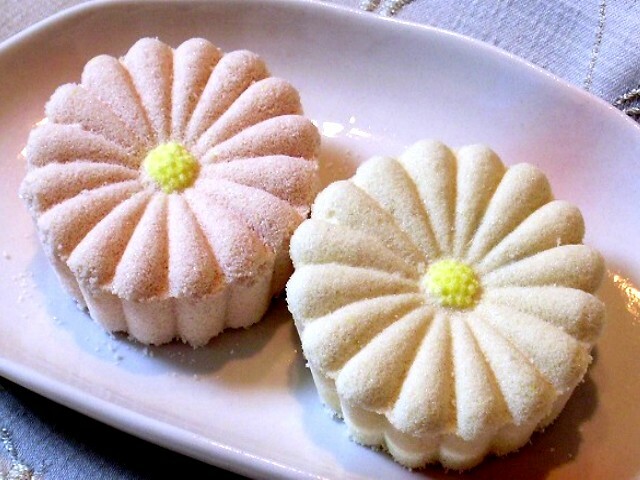 Are there any wagashi that you just love that didn’t make it into this blog post? Don’t let your number one wagashi miss out; tell us all about your favorites in the comments!